It's a struggle as old as air travel itself: Do I book this plane ticket now with my plans still in flux, or do I wait and risk prices skyrocketing? Airline travelers wrestling with this do-I-or-don't-I dilemma have a new service at their disposal. For a few dollars, they can secure an option to buy their plane ticket later this week at today's prices. Expedia's new TripLock feature is derived right from the derivatives market created by Wall Street — for a small fee, flyers can buy the option to purchase a plane ticket in the future at a locked-in price. Various price-lock tools have been introduced in recent years — Continental Airlines introduced its FareLock tool in 2010, which was later inherited by United Airlines during its acquisition. But with Expedia introducing its new TripLock feature, the rules for buying plane tickets may be changing. "TripLock allows customers to hold a flight for anywhere from two days up to a week for a small fee, which starts at [$5] and varies depending on the duration of the hold and the total estimated fare," said Expedia's Allison Farrar in an email. Expedia also owns Orbitz and Travelocity, which now offer the same feature. "As you can imagine, this new button gives travelers additional flexibility — if you like a fare, you can hold it and think about it before locking it in," Farrar said. "If you ultimately decide you don't like the fare, you can just let the hold expire." TripLock is powered by Chicago firm Options Away, which has been quietly brewing its options-market-inspired formula for several years. If prices for a locked-in flight rise during the lock period, Options Away is on the hook for the difference. CEO Robert Brown said he's confident his firm understands pricing patterns well enough that its risks will be covered by the prices it charges consumers. When pulling up flights between Seattle and Washington, D.C., for late July, a 2-day hold cost $7, a 3-day hold cost $9, and a 5-day hold cost $17. (Seven-day holds weren't available.) If I'd purchased the 5-day option and decided not to travel, Expedia and Options Away would have kept the money. If prices went up, they would have covered the difference. If prices went down, I would have received a refund. So how does Options Away manage the risk? Brown, who has a background in trading, said the firm does so in several ways. "We do not offer TripLocks on every flight. If our models suggest that sell-out risk is too high, then we will not offer it. We only offer TripLocks on flights (more than five) days from departure ... Our system is constantly monitoring availability once a TripLock is purchased. If we reach a critical level, our system has various ways it can mitigate risk or secure a seat." Brown says his product has a surprising benefit — roughly 6% of the time, prices go down during a lock period. On the other hand, prices rarely skyrocket during the lock period — that's the algorithm at work. In fact, it's possible that Options Away could be so conservative with its options offers that it virtually never sells an option for a ticket that goes up in price. Brown said he'd never do that, however. If word got out, people would stop using it, and it's important to "share the winnings" with consumers, he said. 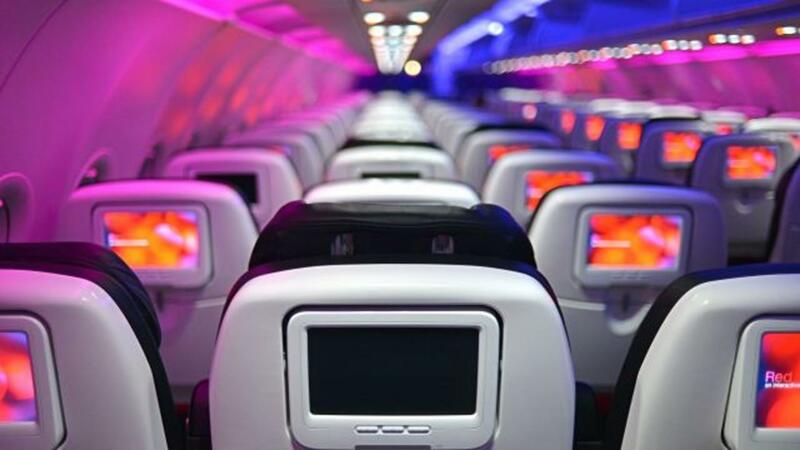 One risk to consumers is that an airplane could sell out during the option period. After all, Options Away can't add seats to an airplane. But Brown says the risk is almost nonexistent. "Other than during holiday periods, airlines do not like to sell out a flight before [five days from departure], as it prevents them from having tickets available for high-paying business customers," he said. "There is virtually always a seat available if you are willing to pay for it." In three years of operations, Brown said, it's only happened once. "This was in our earlier days and we, of course, made sure the customer was happy and made it to their destination," he said. "While there is a theoretical risk, our system is sophisticated enough to essentially make it irrelevant." When Expedia researched its TripLock feature, if found that folks wanted the option to buy options because they often are unsure of travel plans when flight shopping. But a surprising number (26%) said they wanted the feature because they are often waiting for friends and family to solidify plans when booking trips and they are concerned about prices going up while waiting for others. The feature is good for the airline industry too, Expedia said. "According to our research, 74% of travelers say they are more likely to travel given the option of putting a flight on hold," it said in a report. Remember, if you're getting ready to book a trip, it's important to stay on budget. High levels of debt can hurt your credit score, which indicates your financial standing. You can see where yours currently stands by viewing your free credit report summary, updated each month, on Credit.com. And if your wallet and credit card handle it, you may be able to use a travel credit card to mitigate expenses. You can learn more about the best travel credit cards in America here.